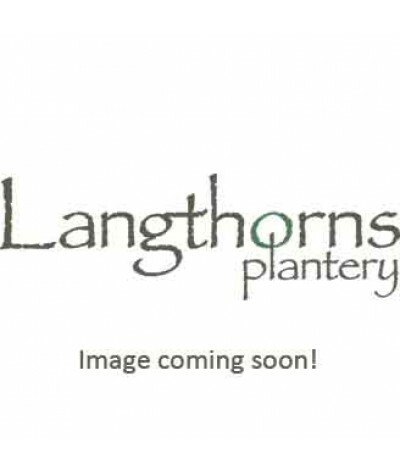 White perennial stock. Sweetly scented white flowers are produced over a long period in summer. Height and spread to 18ins (45cm). Any soil in sun. 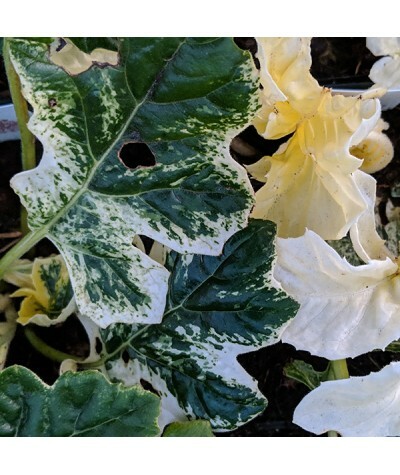 Evergreen grey green foliage looks great all year..
An evergreen perennial with narrow dark green leaves, dense spikes of white flowers in autumn. Max Height 30cm. Max Spread 45cm. Flowers September to November. Partial shade. Hardy. Water thoroughly b..
An evergreen iris with bright dark green leaves and stems holding pale yellow flowers with purple markings in early summer. Large seed capsules split open to reveal scarlet seeds in autumn. Height ..
Lush two tone palmate green leaves form beautiful mounds. Masses of violet-blue flowers with a white center are borne over a long period from June to November. Height to 2ft (60cms). Cut back in Ju..
A lovely form of greater periwinkle that makes a useful and attractive ground cover in sun or shade with a height to 30cm and an indefinite spread. 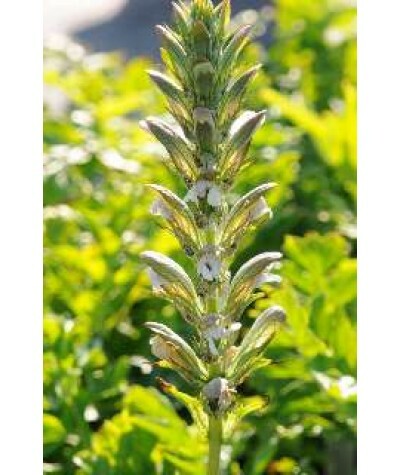 From April onwards it has masses of pretty blue/v..
Clump forming perennial. White woolly panicles of yellow flowers are produced above large, silvery white leaves. Best in any well drained soil in full sun. Height 80cm, spread 60cm. 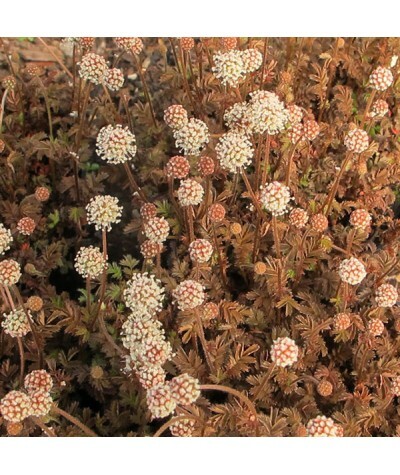 ..
An underrated and seldom used groundcover that is ideally suited to rockeries or cracks in walls, patios etc. 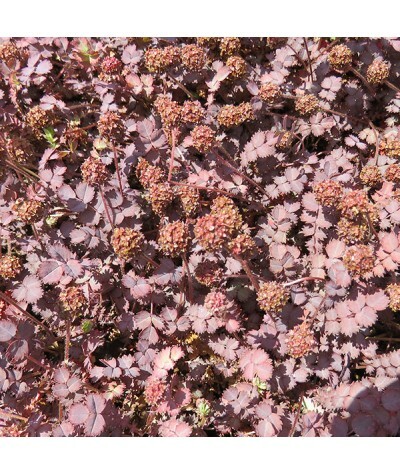 A low growing carpet forming mat of milky purple foliage to around 3cm tall. In summer ..
A low growing, dense carpet forming evergreen of finely cut copper foliage. In summer it is topped with white globe -like flowers turning into dark cooper spikey burrs. 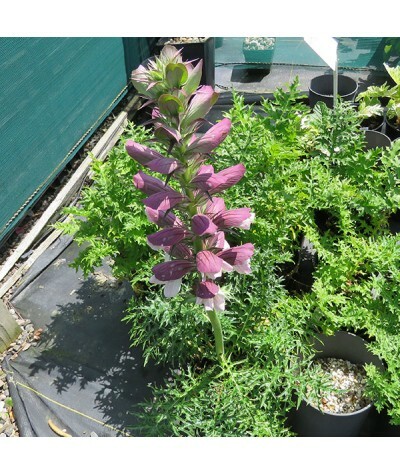 Prefers well-drained s..
Clump forming perennial with beautifully cut deep green leaves. Bears racemes of white flowers with purple bracts in midsummer. A useful foliage plant. Any soil, Full sun or part shade. Height 1.5m..
"Bears breeches". Deeply toothed, soft-spined, dark lustrous green leaves up to 3ft (1m) long. White flowers are flushed with pale purple in toothed mauve bracts. 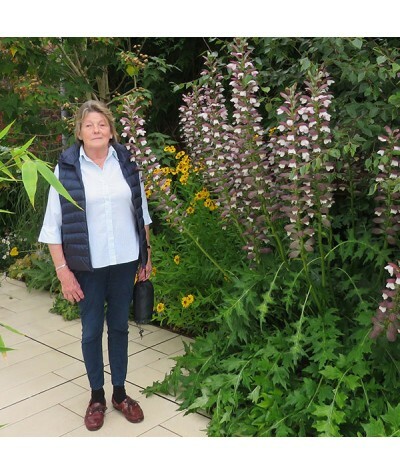 Flower stems can reach 7ft (2m) ta..
A very free flowering form of Bears breeches arisen from a cross between A. mollis and A. hungaricus. 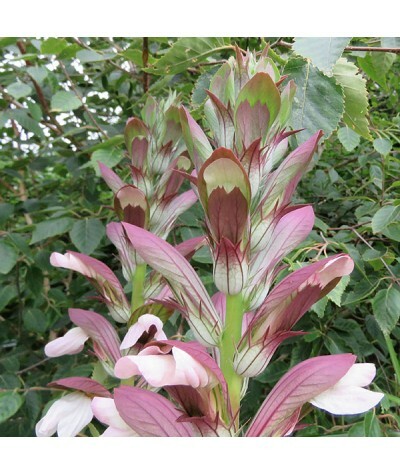 Deeply toothed, soft-spined, dark lustrous green leaves up to 3ft (1m) long. Tall spires of..
Bear's breeches. 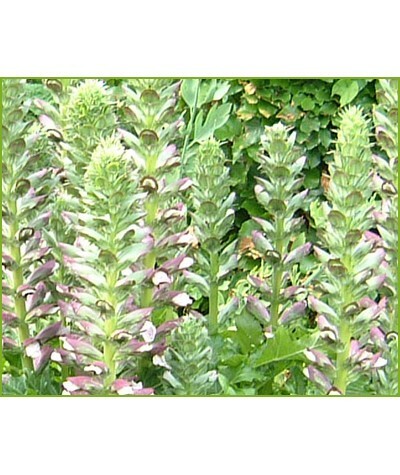 A clump-forming perennial with deeply cut, dark green leaves. 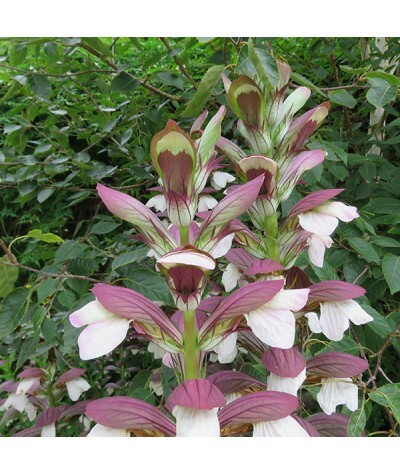 Spikes of white flowers with purple bracts produced in summer. Max Height 1-1.6m. Max Spread 1m. Flowers July to Septe.. 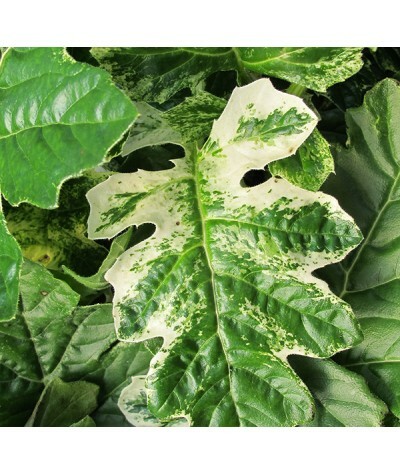 Similar in leaf to Tasmanian Angel, Whitewater is a fabulous foliage plant too. 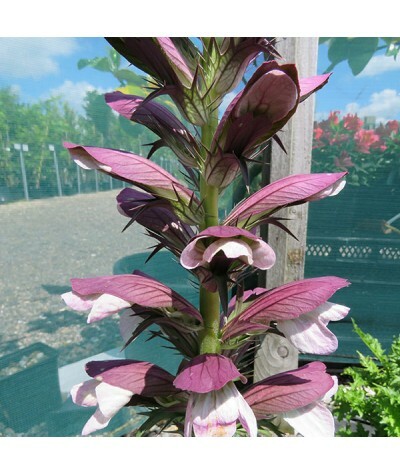 Flowers are slightly shorter reaching 1.2m and are much whiter in bud and flower with a soft pink flush when full..